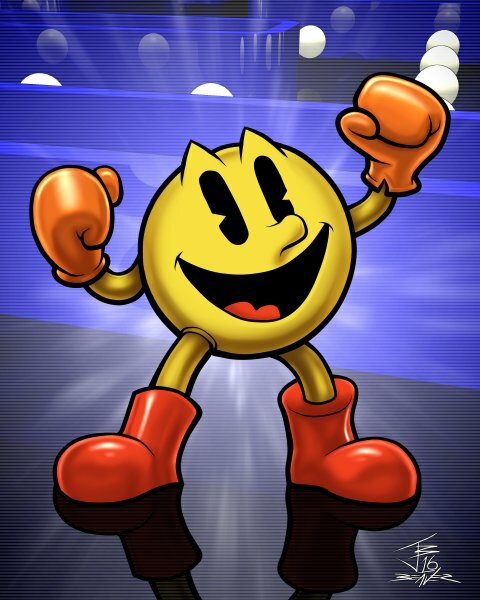 I drew a quick Pac-Man pic on the 36th anniversary day of the original game's release and decided to make it a full pic about a week later. The proportions of the boots and gloves were ridiculously off in the quick version, so I had to fix them before going forward with the pic. I made the 3-D maze in Blender a few years ago, but I had to fix a few clunky spots on the corners for this render.